Satisfy that sweet tooth and warm up with a cup of peanut butter hot cocoa. We have had a fantastically pleasant fall. Seriously, nicer than any I can remember for a long, long time. The days have been sticking in the upper 60’s and low 70’s, which is quite unseasonable for Nebraska. Usually by this time, I am stuck in the gym to get some exercise or on my treadmill in the basement. (thank goodness for binge watching Netflix series!) Luckily for me, I have been able to enjoy the sunshine and the nice temps with long walks outside every day. Just me, my headphones and my thoughts. I have even managed to keep some color on me! Not complaining at all. As much as I am basking in this warm and wonderful fall, my kids are counter acting it with Christmas lists and even listening to Christmas music already! It’s an on-going battle around here, because, I, myself, LOVE Thanksgiving. Our evenings, though, have been cool enough that we have been able to use the fireplace again, but not go full-fledged into the furnace being on. I do enjoy a nice warm cup of something by the fire in the evening, especially if it’s hot cocoa. There is just something comforting about it? Hands wrapped around a warm mug in front of the fire. Speaking of mugs, aren’t these snowmen ones cute? I mean, I hope the actual white stuff is far off, (like, say, Christmas Eve?) but the mugs, they just looked like they would welcome a good cup of cocoa. This hot cocoa I am sharing with you today isn’t your average cocoa. Raise your hand if you love peanut butter. How about peanut butter cups? If you gave a resounding “yes!” to that — this one’s for YOU. 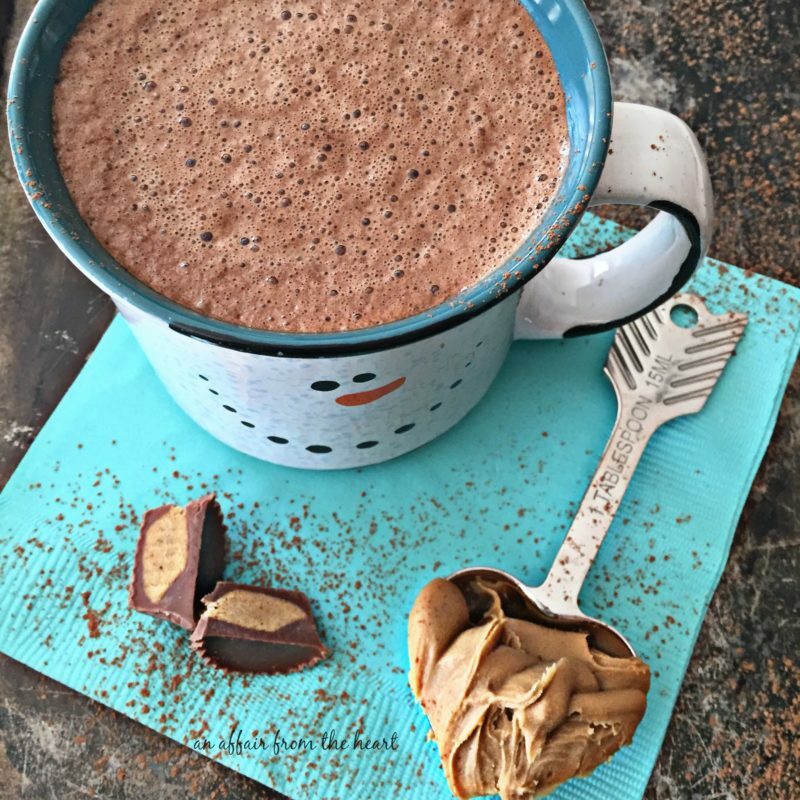 Milk, a good quality cocoa powder, peanut butter and a touch of espresso powder make this one extra special. 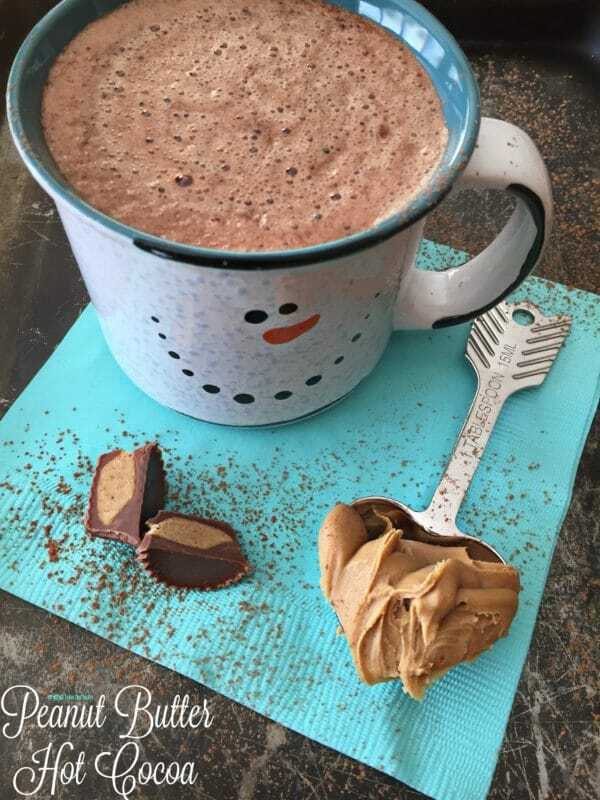 I typically sweeten this one with raw honey — but during the Goodbye Sugar 30 Day Challenge sponsored by SPLENDA® Naturals Stevia Sweetener, I decided to try using a different method. I replaced the Tablespoon of raw honey with one SPLENDA® Naturals Stevia Sweetener packet. 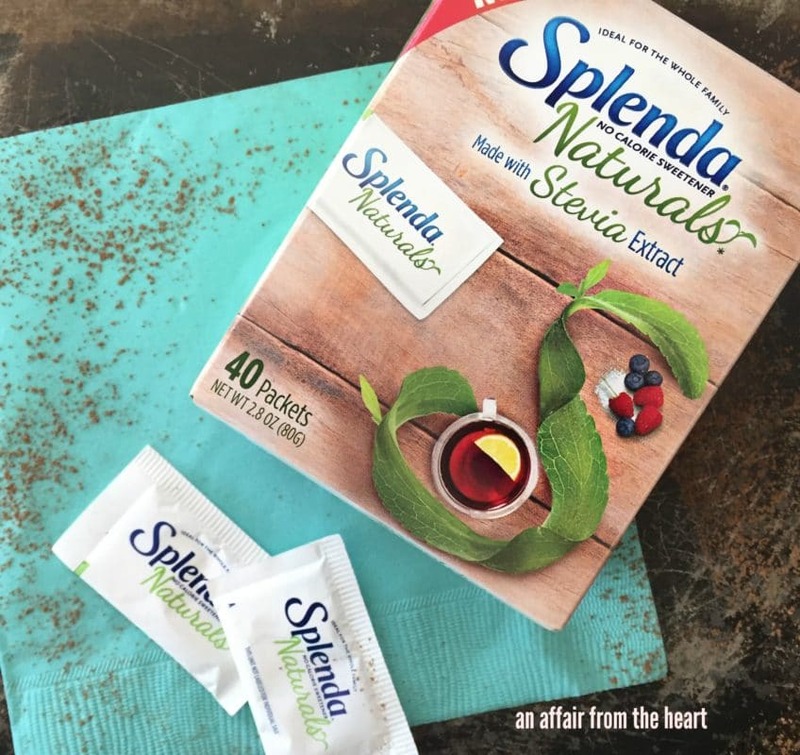 SPLENDA® Naturals Stevia Sweetener challenged me to spot the places in my diet where sugar is added, and identify the occasions where I can easily swap out the added sugar and the calories with the delicious new SPLENDA® Naturals Stevia Sweetener. The goal of this 30 day challenge was to give us the tools to make small changes in our lifestyles that can help us reduce added sugars and calories, without sacrificing taste. Where some sweeteners with stevia have a bitter aftertaste, SPLENDA® Naturals Stevia Sweetener is naturally sweet – no calories, no added flavors or artificial ingredients. SPLENDA® Naturals Stevia Sweetener can be found at retail stores nationwide, and can be purchased in 40 and 80 count boxes. 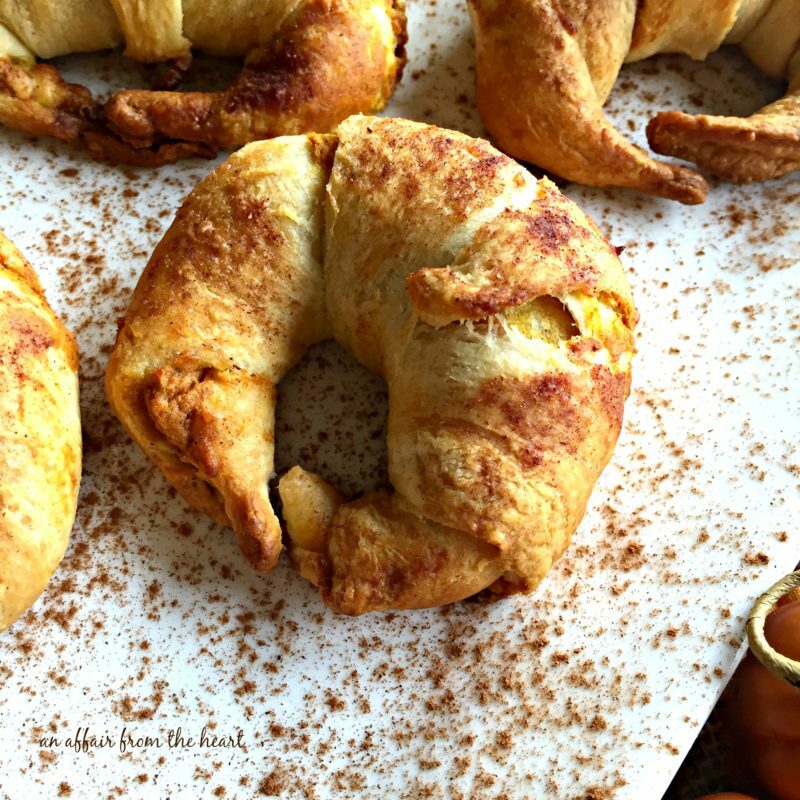 See where my #GoodbyeSugar30 Challenge began with this recipe for Pumpkin Pie Croissant Bundles. The last 30 days have been surprisingly easy. 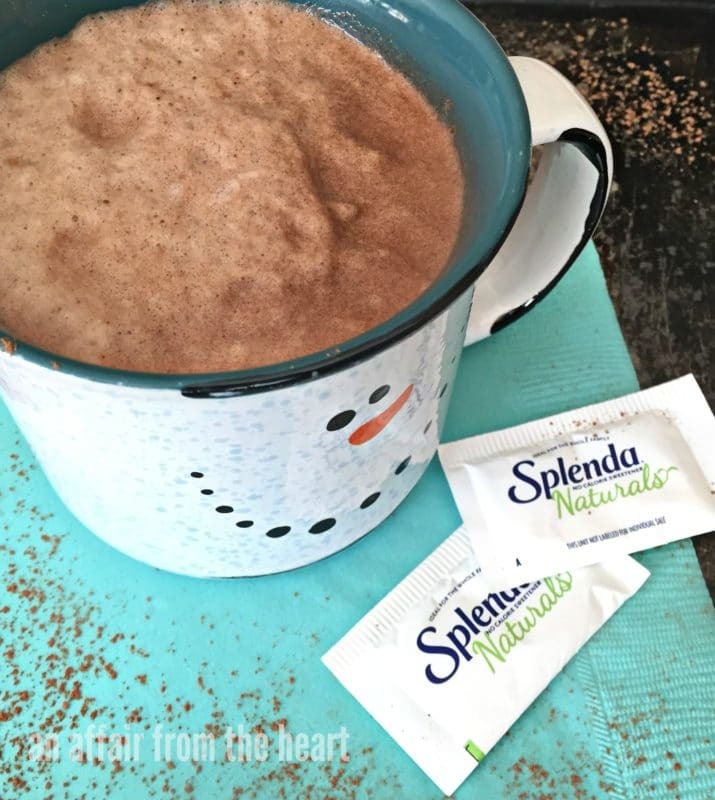 Swapping sugar for SPLENDA® Naturals Stevia Sweetener wasn’t difficult at all. 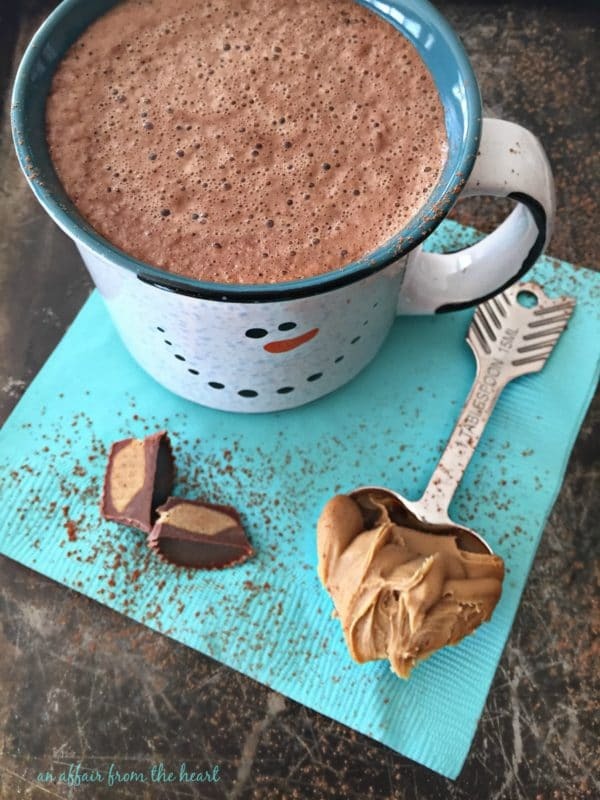 So, have that indulgent cup of peanut butter hot chocolate — and don’t sacrifice the taste. I got that nice froth on the top with my Milk Frother I use when making lattes and such. You can get a similar effect using a stick blender. 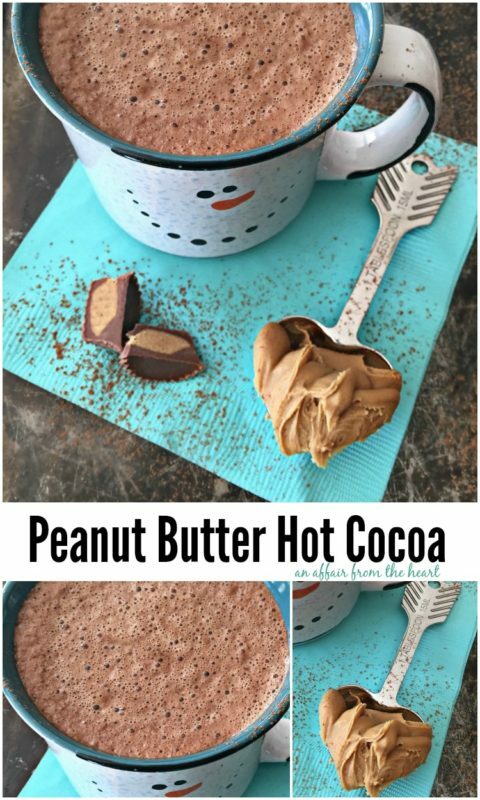 Let’s make some Peanut Butter Hot Cocoa! Combine all ingredients in a saucepan over low heat. Stirring to combine. Whisk until smooth. I used my milk frother before pouring into a mug. You can get a similar effect with a stick blender. I was selected for this opportunity as a member of CLEVER and Splenda and the content and opinions expressed here are all my own.